For the second year, the Foundation approved funding requested by Middle School Teacher and Environmental Science Club Advisor, Mrs. Ginger Angelo. The Board approved $3,000 enabled 50 Middle School Students to attend the three day two night camping experience at the Pocono Environmental Education Center through funding provided for STEAM grants. While at the PEC, the students had the opportunity to learn about sustainable living and gain an appreciation for nature through hands-on experiences in a national park. 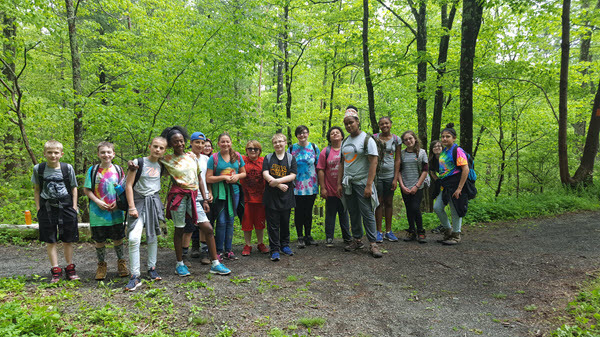 Some of the experiences included steam ecology, canoeing, hiking, team building activities, and a confidence course consisting of a low ropes course that builds trust, self-confidence and a sense of accomplishment within the students. Students also helped contribute to the funding by saving Box Tops for Education, sponsoring a dance and a Valentines carnation sale.